I created the yummy background with Mister Huey's Calico White Spray. LOVE this stuff! 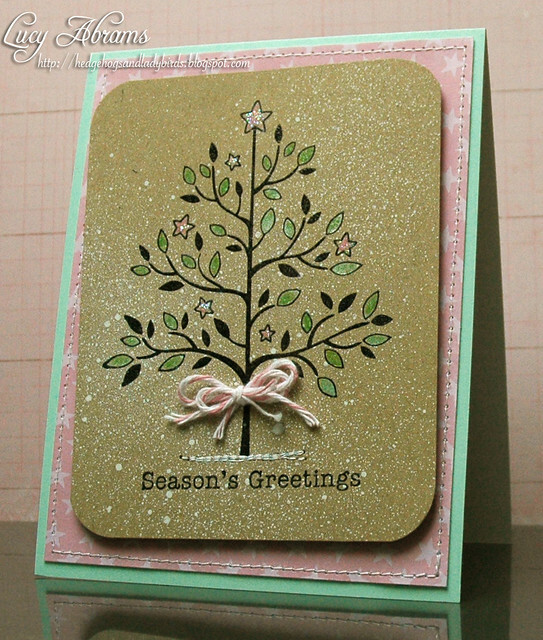 The lovely stamp is Tree With Stars, and the sentiment is from the Merriest Christmas Wishes cling set. Here's a close-up... you can see lots of shine. Love your idea of using the box for misting..mine always got all over the place! FABULOUS card and video! You sure rock it today! Very pretty effect! Love that look! I've only used misting once and have yet to try it again..need more colors! 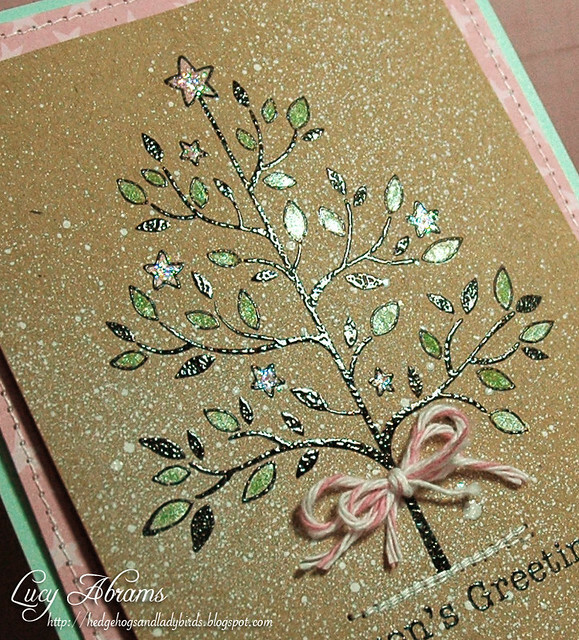 Love the shine on your card!